As we venture farther into 2016, it’s always good to reflect back on the previous year. Today, we are reflecting on animals that were either declared endangered or were upgraded from endangered to critically endangered in 2015. The U.S. Fish and Wildlife Service (USFWS) declared the Mexican Wolf as endangered earlier in 2015. Over-hunting almost wiped out the entire population 40 years ago. Now, the Mexican Wolf has new protections to conserve this rare mammal. The USFWS placed multiple species of sawfish on the endangered species list in 2015. Several populations have fallen victim to overfishing and negative human factors. The Steppe Eagle was upgraded to “endangered” this year by the IUCN because of changes to the raptor’s environment. Habitat disturbances, such as agricultural development and a veterinary drug spreading toxic effects through its ecosystem, have caused the eagle’s population to drastically drop. The IUCN classified the New Zealand Sea Lion as endangered due to “fishing-related mortality” and other threats from disease and food limitations. It is one of the rarest sea lions in the world with a population of around 10,000 and decreasing. In 2015, the IUCN upgraded the status of the White Headed Vulture from threatened to critically endangered. The vulture’s population has declined because of human threats, including poisonings and persecution. The USFWS listed both the Great Green Macaw and the Military Macaw as endangered in October, 2015. The two species’ already small populations are declining due to poaching and habitat loss, fragmentation and degradation. The IUCN declared the Ishikawa’s Frog, a Japanese amphibian, as an endangered species in 2015. The frog population is in serious decline because of habitat loss from dam and road construction. The USFWS classified the Honduran hummingbird as endangered in 2015, which gives federal officials in the U.S. the authority to prosecute anyone smuggling the bird across the border. The population has dropped to 5,000-10,000 breeding pairs after facing habitat loss and other human-related changes. In 2015, the IUCN placed the Narrow-striped Mongoose, also know as the boky boky, on the endangered list. The small Madagascan mammal’s population has been negatively affected by hunting, logging and several environmental factors. The IUCN upgraded the Splendid Toadfish from threatened to endangered in 2015 because of tourism and over-fishing. It is a mud-dwelling fish that lives in the waters of Cozumel and Belize, but has experienced habitat loss with decreasing coral reefs. According to a recent study, seabirds have faced a massive drop in numbers – approximately 70% over the last 60 years. 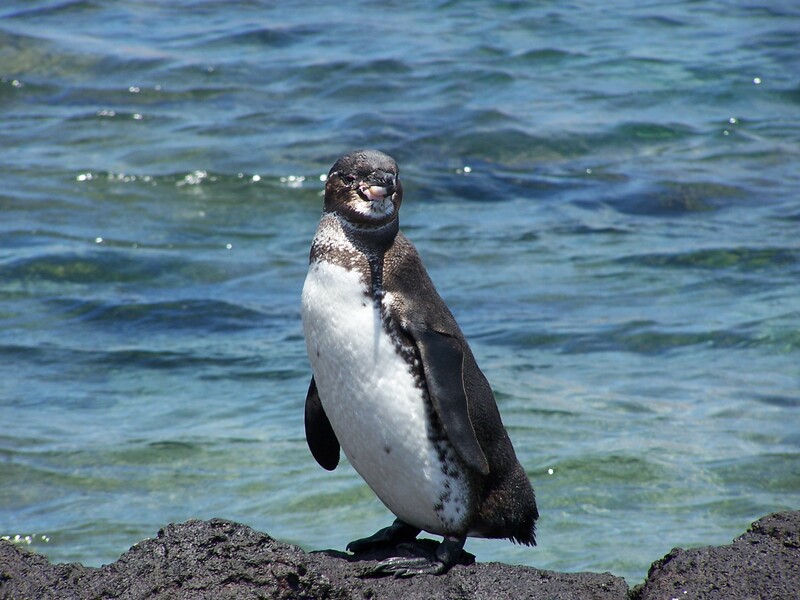 Seabirds are those that forage primarily at the sea, such as pelicans, gulls, albatross, penguins and more. The study covered half of the 325 species of seabirds that exist and collected data from as far back as the 1950s, with most of the information from the 70s and 80s. The findings showed that, of the monitored populations that make up 19% of the world’s seabirds, there was a total decline of 70%. That accounts for a loss of around 230 million birds since the 1950s. But the drop in numbers isn’t that surprising, as seabirds have faced increasing threats for decades. Threats range from food depletion, fishing gear, pollution, non-native predators and climate change. Seabirds are very important to both marine and terrestrial ecosystems. They are part of a delicate food chain and also enrich the terrestrial ecosystem through fertilization. Their disappearance would be tragic, as well as have a negative impact on the food chain and ecosystems. How can we help? The public can help by reducing pollution, particularly plastic pollution and fossil fuel consumption. People can also lobby the goverment or vote to support large marine protective areas that provide refuge for seabirds.